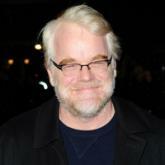 Oscar-winning actor Philip Seymour Hoffman has signed up for a role in Catching Fire, the sequel to hit action film The Hunger Games. The 44-year-old will play Plutarch Heavensbee, the architect of the bloodthirsty, televised games which give the series its title. Filming is due to start in September, with Jennifer Lawrence returning as heroine Katniss Everdeen. The first instalment has taken $678m (£437m) at the global box office. In the US, it is the second highest-grossing film of the year to date, behind superhero movie The Avengers. The series is based on a trilogy of teen novels by Suzanne Collins. The books are set in a future North America where civil war has led to the creation of a dozen "districts", controlled by an amoral, pampered elite. Every year, to assert their dominance, a dozen young citizens are subjected to a bloody fight to the death. Hoffman will play the head gamesmaker in Catching Fire and his character goes on to have a pivotal role in the third book. The actor won an Oscar for his portrayal of journalist Truman Capote in 2005 and recently received a Tony nomination for his role in a Broadway revival of Arthur Miller's Death of a Salesman. Also returning for the second instalment are Josh Hutcherson, who plays Everdeen's ally Peeta, and Donald Sutherland, as President Snow. Directed by Francis Lawrence, the film is slated for release in November 2013.